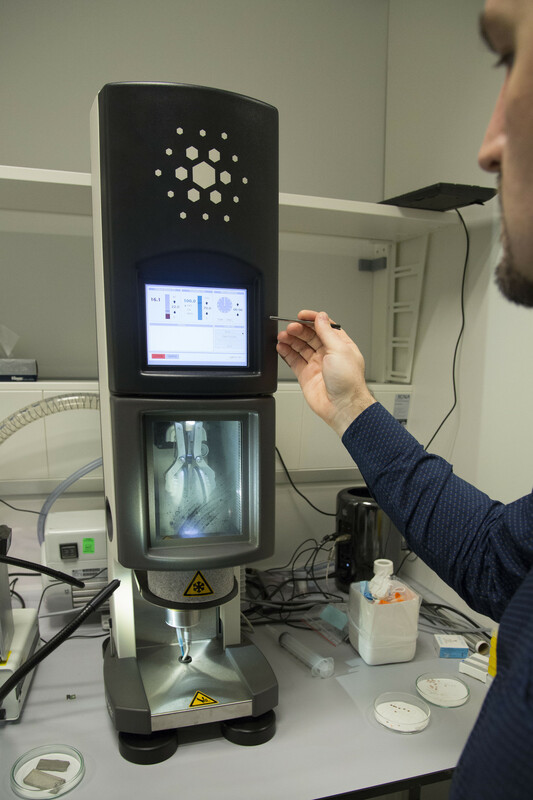 Samples for cryo-EM are prepared by vitrification: cryo-fixation by rapid freezing. These frozen samples are then imaged in a near-native state at liquid nitrogen temperature. Because the samples are not chemically fixed or stained they can be imaged the highest resolution, but are also very sensitive to electron beam damage. Therefore images are acquired at a very low electron dose with the highest quality detectors in order to prevent radiation damage and maximize the signal-to-noise ratio. NeCEN is equipped with a FEI Vitrobot for plunge freezing of biological samples. 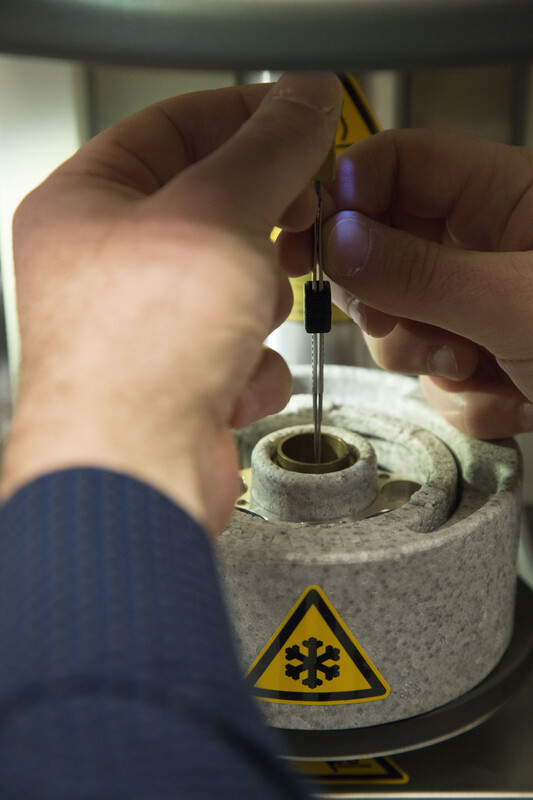 For challenging samples, we offer assistance during buffer optimization and sample screening. A basic equipped wet-lab and dedicated entry level screening TEM are available on-site. To obtain grids of sufficiently quality for data collection, the NeCEN staff will freeze and load batches of 8 grids. A maximum of 2 times 8 grids per day can be screened. To prepare samples before data collection, the NeCEN staff will freeze and load batches of 8 grids.